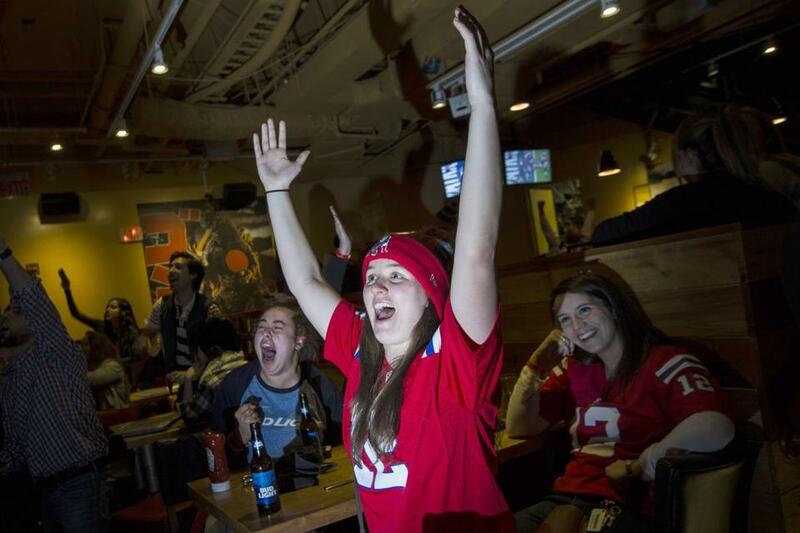 New England Patriots fans reacted to a first down as they watched the fourth quarter of SuperBowl 51 between the Patriots and the Atlanta Falcons at the bar Game On in Boston. Food consumption during Super Bowl Sunday is nearly as epic as the game: Last year, Americans ate $80 million worth of chicken wings, drank $1.3 billion worth of beer, and dipped $278 million worth of potato chips into $39 million worth of dips, according to the Nielsen research firm. But many local restaurateurs have learned to accept the fact that the bulk of that binging isn’t happening at their tables. So rather than make a risky play and hope for a blitz of football-averse customers to come in on Sunday night, restaurants across the city are cutting their losses and shutting their doors during the big game. Sandrine Rossi, who co-owns Frenchie in the South End, said customers started canceling their reservations within hours of the Patriots AFC Championship win two weeks ago. And Chris Campbell, owner of Troquet on South, made the call to close within minutes of learning that the Patriots were heading to the Super Bowl. The restaurant had always been closed Sundays in their old location on Boylston Street, Campbell said, but since moving to the Leather District, they’ve stayed open all weekend. Not so this weekend, however. “We close on Christmas day, Thanksgiving day, and now Super Bowl Sunday,” he said. Campbell and others said the chance to give employees a day off more than makes up for lost revenue. The game can present challenges even for operations with split personalities, like the Kings Dining & Entertainment group, which has a restaurant, bowling alleys, and an arcade in its Seaport location. 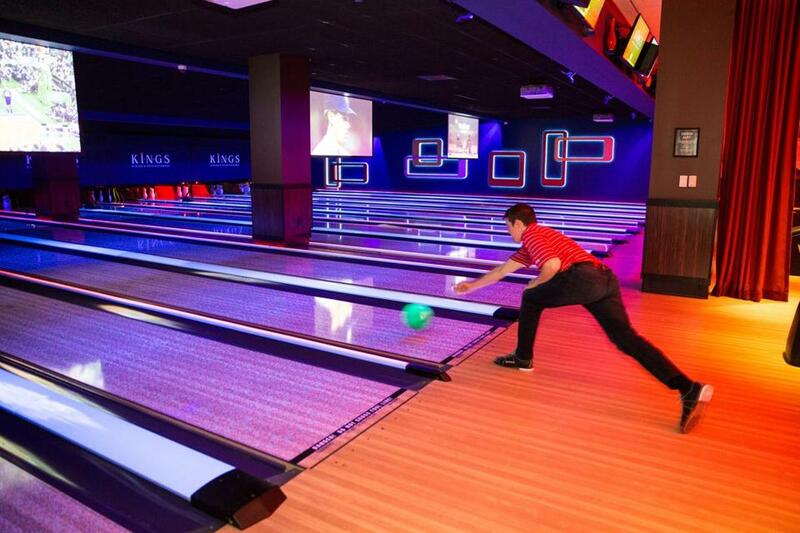 This year, King's Dining and Entertainment is offering free bowling in the hours after the game to draw people in. “There are a lot of variables to the Super Bowl in general for a place like us,” said Doug Warner, the vice president of marketing for the chain. While the restaurant side of their location tends to be packed during games, he said, the bowling alleys are often less of a draw. So this year, the company is offering free bowling in the hours after the game to draw people in. “It’s feast or famine in this business,” he said. But for those venues that do open, it can be a boon in an otherwise dreary winter season. “It’s like triple the business for us if the Patriots are in the game,” said Ryan Jones, the director of operations at Game On, the 650-seat sports bar in Fenway which typically sees its traffic dip slightly after the baseball season ends. And some restaurant groups that have multiple locations tend to shift the emphasis to their game-friendly venues on Super Bowl Sunday. Randy Greenstein, the principal of Big Night Entertainment Group, which runs the Scorpion Bar at Gillette Stadium and the new entertainment complex in the Seaport that houses the 400-seat Empire restaurant, 320-person Scorpion Bar, and the Grand nightclub, which can accommodate 820 gyrating bodies, said it was a no-brainer to close Empire for the game. It has only one TV screen, he said, and it’s in the lounge. But reservations sold out quickly at the other venues as soon as fans realized that the Patriots would be heading to the Super Bowl again this year. With that in mind, the company decided to up the ante and open the Grand to clubgoers who want to experience Tom Brady on a 70-foot-wide LED screen. Among the items a $3,000 bottle service package will get you and up to 25 of your friends are magnums of Grey Goose vodka and Don Julio tequila, a case of Bud Light, and 100 wings served on the couches of a private VIP pod. It’s a definite upgrade from your own couch, Greenstein joked.